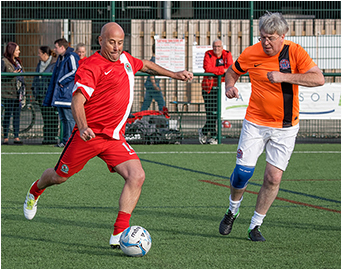 The Lancashire League Summer Series idea was conceived and implemented in its first year by a couple of committee members of Fleetwood Flyers who were eager to form a quality competition to accommodate the growing number of walking football teams around the North West of England. Many ideas and formats were discussed until the final format was decided on and with the dates booked at the excellent Poolfoot Farm Sports & Leisure Village and the teams invited the event would run over five qualifying rounds spaced roughly a month apart and culminating in a Grand Finals Day to be held in October 2016 at which point the Champions would be decided. Round three soon followed with five teams fighting it out for a place in the finals. Blackpool Senior Seasiders, Blackburn Rovers WFC and Fleetwood Town Flyers who were joined by AFC Fylde and a first visit for Carlisle United WFC. 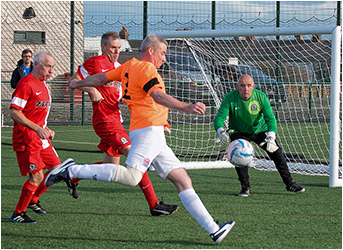 Round 4 again saw a full compliment of six teams entered for the tournament, featuring the ever present, Blackpool Senior Seasiders, Blackburn Rovers WFC and Fleetwood Town Flyers plus Wigan Walkers Whites, AFC Fylde and Carlisle who had again made the journey south. Heading in to this, the final qualifying round it was clear that Fleetwood Flyers had a problem, they had not yet qualified for the finals of their own league series ! So today was the day they had to pull out all the stops but Carlise also needed to win the tournament to seal their place in the Finals. Blackpool Senior Seasiders, Blackburn Rovers WFC, Fleetwood Town Flyers and Carlisle again making the journey south made up the teams for the day. 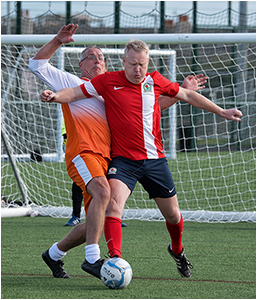 As we had now come to expect the standard of football was high and we had to wait until the fourth game before a goal was scored and it was for the Fleetwood Flyers, securing a vital 1-0 win over Blackpool Senior Seasiders to put them in the driving seat. The next game saw Carlisle seal a 1-0 win over Blackpool to lie equal on points with the Fleetwood Flyers and only one game remaining ! 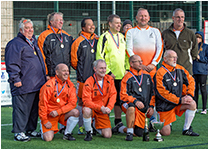 Congratulations to Blackpool Senior Seasiders WFC as the first winners of the Lancashire League Summer Series. The event had been a great success and received glowing reports from all that had been involved making all the hard work well worthwhile. 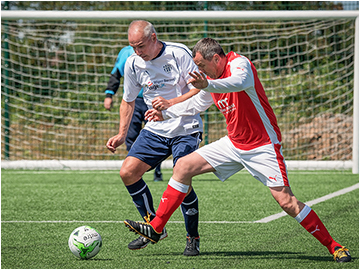 Special thanks are extended to the Fleetwood Flyers event organisers and event coordinators, all the teams who supported the series, our two referees throughout the series, Wayne Capstick and Paul Barton, Fleetwood Town FC Community Trust, Poolfoot Farm Sports & Leisure Village, Steve Curwood Fleetwood Town FC CEO and last but not least our two photographers, Angela Carr and Barbara Clayton.